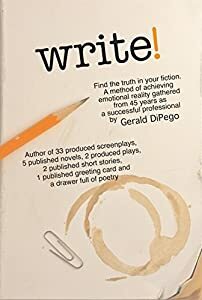 "This is a must-read for any writer or would-be writer. When it comes to publishing, Hausmann knows the territory inside and out. Here, she gives the scoop on what to do and what not to do when proceeding with your work...and she does so brilliantly." -- Jack Engelhard,author of the international bestselling novel "Indecent Proposal"
*1st Place, Gold Medal 2018 - Readers' Favorite Awards - Writing & Publishing. In its 3rd edition "NAKED NEWS For Indie Authors" features 37% more content than the 2016 Update. 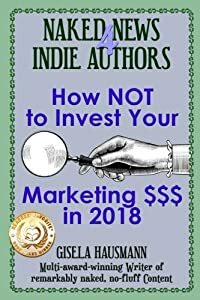 Penned by 27-year industry veteran Gisela Hausmann whose work has been featured in Success and Entrepreneur, on Bloomberg and NBC's business blog, the book shows how authors how to save marketing dollars, not fall for scams, as well as handle their own marketing and media coverage more or less for free. 3) Find a Publisher or Self-Publish? 16) Did You Do the Math? 25) "Where should I start?" Why you feel so rushed and how you can regain control of your time. Your unique "time personality" and how to use it to get more writing done. Practical steps to overcome distractions and focus faster. The 7 "productivity saboteurs" that plague creative artists and how to outsmart them. Your personal motivation style and how to use it to increase productivity. How to tap into your unconscious mind to find "writer solutions" when you need them. Why affirmations don't work and how to instill true belief in yourself. Why it's critical to your overall health and well being to nurture the creator within. As seen in Forbes. Social media guru, Julie A. Gerber and award-winning author of forty-three best-selling books, Carole P. Roman, team up to travel the winding road of self-publishing, promoting, and marketing a book. Join these two experts as they share their vast store of experience in an easy to read book. FIVE stars from ForeWord Reviews. Have you always wanted to write a children’s book, but thought you couldn’t? Or maybe it’s already written, but you don’t know where to go from here? 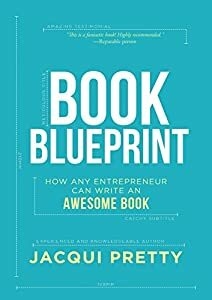 Are you looking for a blueprint that can guide you from story idea all the way to published book, without feeling lost and overwhelmed – even if you don’t have much time? 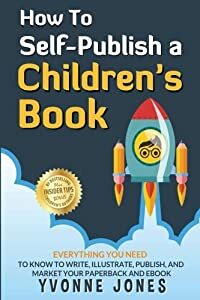 In How To Self-Publish A Children's Book, Y. Eevi Jones outlines the precise path to fulfilling your dream of becoming a published children’s book author. 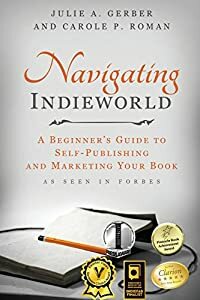 You will find everything you need to know to write, illustrate, publish, and market your paperback and ebook. Templates and Swipe Files of emails to hire Editors and Illustrators, plus how to ask Influencers for reviews you can feature on your cover. A Hand-Selected List of highly qualified Editors, Illustrators, Book Formatters, and Marketing Strategists you can hire, without it costing you a fortune. Lists of Blogs, Book Festivals, Awards, and Groups specifically for marketing children’s books. BONUS: valuable Insider Tips from bestselling children’s book authors. What do they wish they’d known before they worked on their first children’s book? How To Self-Publish A Children's Book will help you write a magical story tailored to specific age groups. How To Self-Publish A Children's Book will empower you to bring your characters to life. How To Self-Publish A Children's Book will turn you into a published children’s book author. And this book will show you the rest. To learn more and to watch the book's trailer, visit www.eevijones.com. A soulful mix of writing, geology, rock and roll, and ancient lost nations comes from the author of the award winning historical novel, Storykeeper. 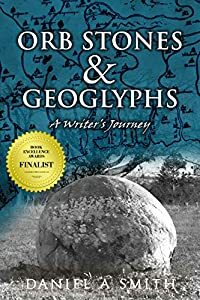 The thought-provoking account of a ten-year search for mystical orbs, mysterious earthworks, and forgotten history intends to inspire the storyteller in all of us to begin their own journey. 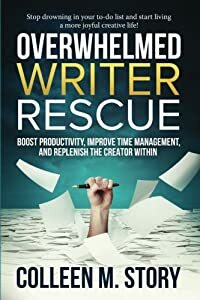 Want to be a better, more productive writer? Bring the right mental processes to each stage of the work. 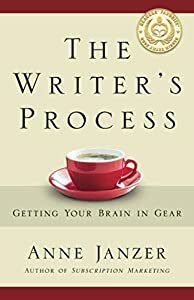 If you fear the blank page or get frustrated when drafting, you may be skipping the essential early phases of writing. It's filled with ideas that you can put into practice immediately. The Writer's Process is a 2017 Readers' Favorite Gold Medal Winner and a Foreword INDIES Book of the Year Silver Award winner. Done properly, memoir is more than just a recitation of facts about a person's life. It's a journey, connecting writer and reader in that shared space where we all experience what it means to be human. 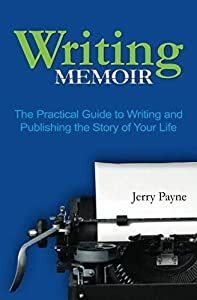 In the award-winning Writing Memoir: The Practical Guide to Writing and Publishing the Story of Your Life, Jerry Payne details, in an easy-to-follow way, how to take the particulars of one's life and weave them into a moving, compelling, page-turning story. Using examples from his own works as well as other works from the masters of the genre, Payne discusses narrative arc, theme, character development, description, dialogue, flow, and voice. Concise, yet comprehensive, Writing Memoir also covers essential concerns like how to construct an effective outline, how to avoid common errors of grammar and punctuation, how to go about editing and rewriting, how to view one's book critically and objectively, and the ins and outs of both traditional publishing and self-publishing. Write! is a breakthrough book from a successful professional author, for an audience of writers of all levels seeking a guide to the craft. DiPego’s unique personal approach takes readers on a private tour of his well-lighted rooms and dark corners, revealing his way of pulling feeling, experience and invention from within and weaving them into a story. The result of this exciting method is the creation of rich, believable characters and an atmosphere of Emotional Realism. He is twice nominated for the WGA screenwriting award, and his film for television, A Family Upside Down, won a Golden Globe award as best picture. His recent play, 154 and Paradise, was produced last year at Santa Barbara's Center Stage to sold-out audiences. His screenplays have attracted top talent such as Paul Newman, John Travolta, Anthony Hopkins, Juliette Binoche, Clive Owen, Kevin Costner, Jennifer Lopez, Robin Wright and others. *This book was selected as a Finalist in the Business: Writing & Publishing category of the 2017 International Book Awards, chosen as an Official Selection in the Writing & Publishing category of the 2017 New Apple Book Awards for Excellence in Independent Publishing, and received Honorable Mention in the Non-fiction Writing/Publishing genre of the 2017 Readers' Favorite Book Awards. MIKE KOWIS, ESQ., is a corporate tax attorney, college instructor, speaker, and award-winning author. 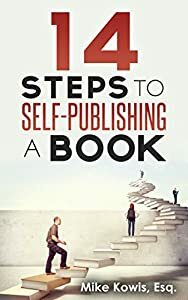 During the two-month process of self-publishing his first book, Engaging College Students: A Fun and Edgy Guide for Professors, Mike took careful notes on each step and later decided to write this book to help other authors who want to self-publish. Mike holds a bachelor’s degree and two law degrees, including an advanced law degree from Georgetown University Law Center. He lives in Texas with his beautiful wife, Jessica, their two rambunctious children, and two noisy but sweet dogs. You can find more information at www.engagingcollegestudents.com/self-publishing-guide.